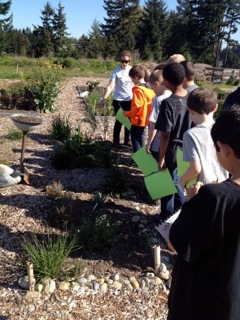 Having the elementary school classes out was a lot of fun. So much energy! 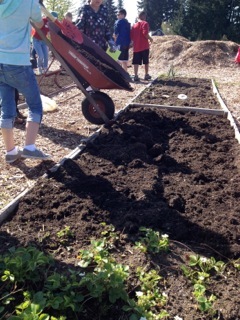 The Tacoma Garden Club gave us a grant to purchase new tools for the kids! 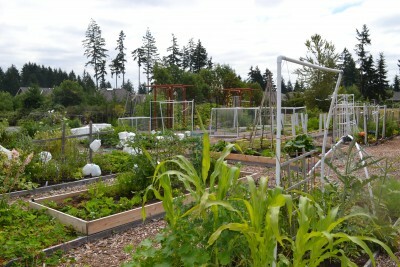 This is a photo taken just a few days after we created our pumpkin and bean patch. This photo was taken yesterday. 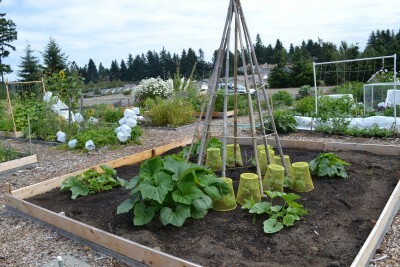 The beans are under these mesh baskets to keep the bunnies from eating our crop. 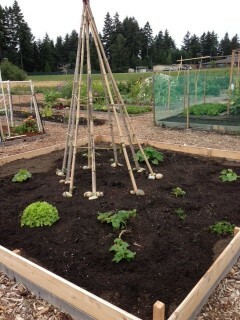 We are hopeful that the plants will be stronger once they hit the top of the baskets and start climbing the poles. 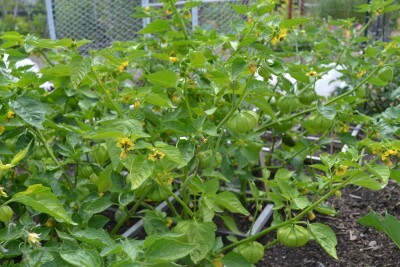 These are tomatillos growing in our food bank site. This is my personal favorite growing in my garden. 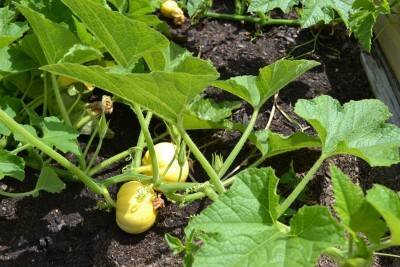 They are Jack Be Little Pumpkins and I was completely blown away when I returned to see these guys had grown so much after being on vacation for one week! 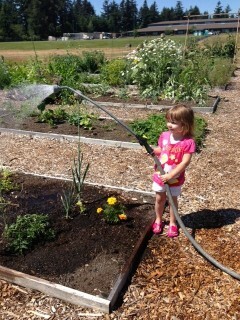 The kids have fun coming to the garden with me. It always takes some coaxing and often a bribe but they are great little helpers. 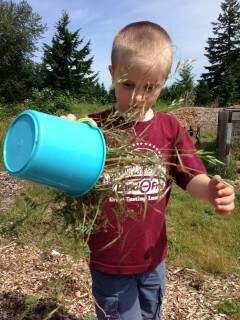 I paid Gavin a nickel a bucket when he was helping me weed. I think he earned about 50 cents! 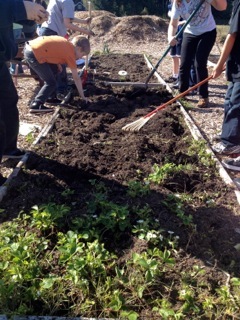 The verdict is still out on whether the kids will cherish these experiences in the garden and develop their own love of gardening. There is the possibility that I will turn them away completely. 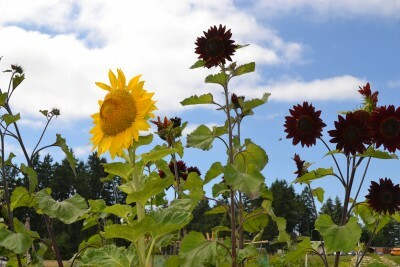 I love that they come with me to the community garden. I hope that someday they look back with fond memories, ideally while they are planting gardens of their own.